Most Raid Boss counter lists assume that you have maxed out versions of each Pokémon on it, but in reality, very few people do. With a Heat Map, however, you can identify whether, for example, your level 35 Pokémon will do more damage to a Raid Boss, than your level 40 Pokémon, due to it having a better and more effective moveset. There are several different methods for ranking Raid Boss counters, but the one we’ve selected to use is TTW, which stands for ‘time to win’. 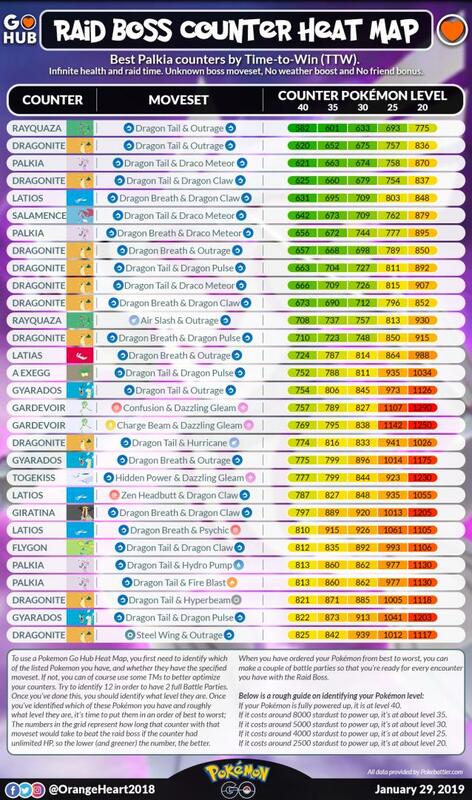 Basically, this tells you which Pokémon would potentially beat the Raid Boss in the shortest amount of time because if you’re short of Trainers and are trying to beat the clock, this will give you the best chance of doing so. Not only that, but doing more damage can mean more Premier Balls with which to try and catch the Raid Boss! 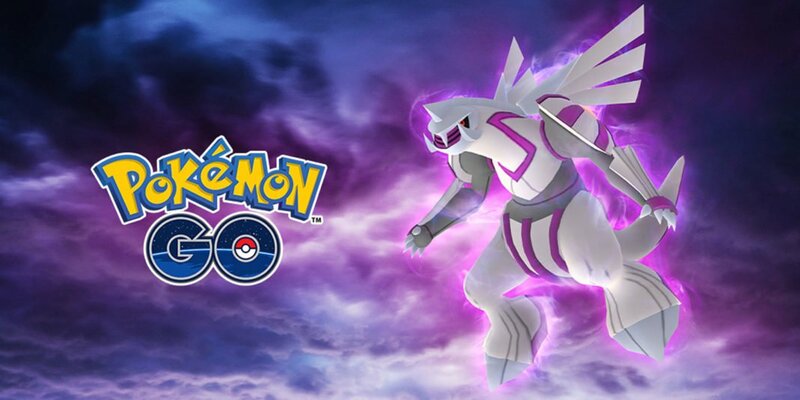 *This data assumes that you don’t know the moveset of the Raid Boss, that no moves will be weather boosted, and that you aren’t getting a friend damage bonus, so basically, almost the worst case scenarios – unless the weather boosts the Raid Boss’ moves, things can only get easier. If your Pokémon is fully powered up, it is at level 40. If it costs around 8000 stardust to power up, it’s at about level 35. If it costs around 5000 stardust to power up, it’s at about level 30. If it costs around 4000 stardust to power up, it’s at about level 25. If it costs around 2500 stardust to power up, it’s at about level 20. Once you know which of these Pokémon you have and roughly what level they are, it’s time to put them in an order of best to worst; The numbers in the grid represent how long that counter, at that level, with that moveset would take to beat the raid boss if the counter had unlimited HP. So the lower (and greener) the number, the better. When you have ordered your Pokémon from best to worst, you can make a couple of battle parties so that you’re ready for every encounter you have with the Raid Boss. Best of luck in your battles with Palkia, and if you have any feedback, suggestions or changes you’d like to see in our future Raid Boss Heat Maps, please Tweet @GoHubQoncept or join us on the GoHub Discord and tag @Qoncept with your comments.